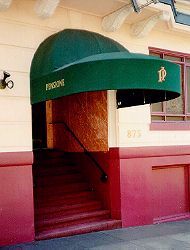 The Pensione International Hotel is housed in one of San Francisco's original Victorian structures, built in the early 1900's. The Pensione, was conceived in 1985. The hotel is centrally located in the Union square, downtown, area, where the cable cars run. You'll have accessibility to off street parking, public transportation, Polk street, Civic Center, fine eateries, emporiums, art galleries, cinemas, and San Francisco's theatres. You can leisurely walk to our Moscone convention center. The Pension's lobby and hallways are tastefully decorated And the communal sitting room has many lovely pieces of art. Each room has it's own unique decor - deluxe rooms have private bathrooms, all other rooms have shared bathrooms. Complimentary continental breakfast is served each morning. 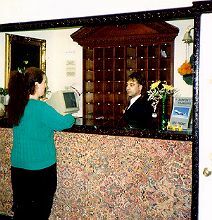 This hotel is a repeat destination for many of our guests. Referrals often state they were told about our very reasonable rates; quaint, charming atmosphere and courteous knowledgeable staff. Please phone or fax us for current rates. 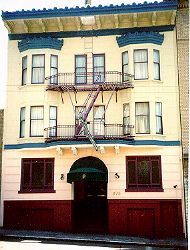 This and other San Francisco Bed and Breakfast Inns can be found here in The Register.